My transition happened when I was coming up to 50. I’d enjoyed working in a large multi-national organisation for 16 years – varied roles, ongoing development and for me, the perfect balance with family life. At 50 I had more time, more flexibility and was ready to step up my career, excited about what I might do next. I just assumed that I would find something easily. Finding the right role proved tricky. One colleague advised me to take a role I didn’t want and ‘get my head down’ for a few years – but being 50, I felt being reactive was not the answer. I certainly felt wiser than my younger self and more confident in my work. But I was uncomfortable putting myself forward to people who clearly viewed me as old. I had somehow lost sight of my potential. In the years leading up to 50, I hadn’t realised that I would feel so differently about my career. Nor, I realised, had my colleagues or the organisation any expectation of me at this stage. I was ready for excitement, a challenge, not winding down to retirement. I observed a pattern around the experiences of other employees of various ranks but a similar age group, who were also finding it difficult to navigate the second-half of their careers. I witnessed valuable, productive people walking out of the door, and knew that valuable knowledge of the organisation was going with each one of them. It was when I heard Andrew Scott talk, I realised there was an opportunity for me to do something; so I made what was a very difficult decision and left my job. Getting together with some old colleagues, we conducted a survey and interviews, consulted with academics, talent and diversity leaders. All this confirmed our thinking. Today, 18 months on, I’m working with a fabulous team running UntappedX, focussing on working with people in the second half of their careers (typically 45 up) and their organisations; helping the individuals flourish and the organisations see commercial benefit as a result. It’s not always easy, there are aspects of corporate life I miss – but I’m loving this adventure. It was hard to leave, and what I miss most is not the organisation, but the working relationships that came with it. My greatest success has been building new working relationships with great people – both in the UntappedX team and our expanding network. My advice? Take some risks, be curious and invest time in strengthening your network. Recognise you’re changing and accept that some of that change is beyond your control so learn who the evolved you is. 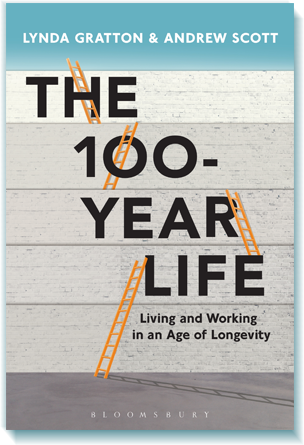 Mostly – life may be short, but our working lives are going to be much longer than we ever imagined. At 50 you’re so much more able than you might think you are. Enjoy!